In a recent article, The Guardian discusses why mediation may be the quicker, cheaper, and less confrontational avenue for divorce in the United Kingdom. According to the article, non-mediated divorce takes nearly 450 days on average and costs an average of £7,000, while mediated divorce proceedings take an average of 110 days and cost only an average of £535. New changes to legal aid may also make mediation more popular because the courts will no longer be funding divorce proceedings. Additionally, the article suggests mediation is the more respectful and amicable alternative as it allows couples to work things out for themselves, within the framework of the law, to reach a more sustainable outcome that is reflective of what couples both need and want. 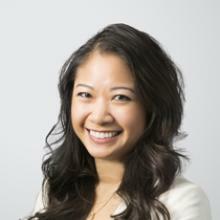 Cindy Pham is a third year law student at the University of Denver Sturm College of Law and contributes to IAALS Online. Please direct inquiries about this post to iaals@du.edu.